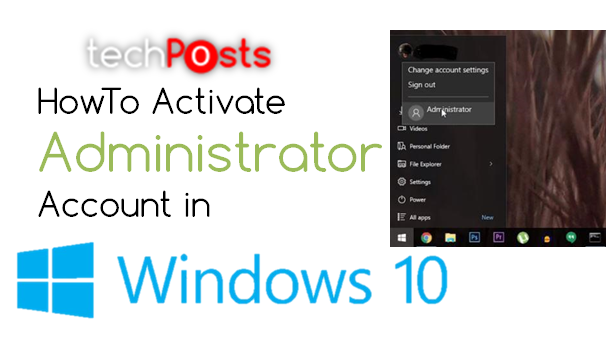 Hello everyone, welcome to the new HowTo guide from Techposts.org and today in this tutorial we will activate or enable the hidden administrator account in Windows 10. 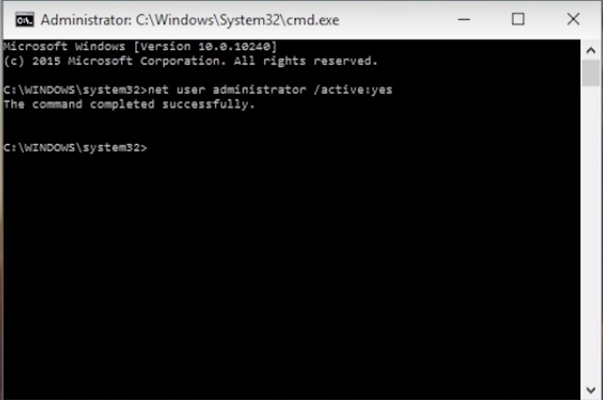 This “Administrator” account will enable you to install software packages or program files, allow unrestricted access and manage system files with superior privileges. After you activate Admin account or logged in with Administrator account, the annoying User Account Control popups will not be shown ever. 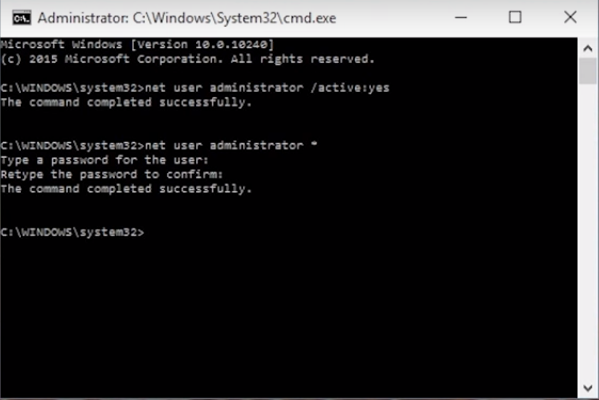 In previous version of Windows like Windows 7, 8 you were able to activate or enable this account through the Windows Control Panel but it has changed with the introduction of Windows 10. 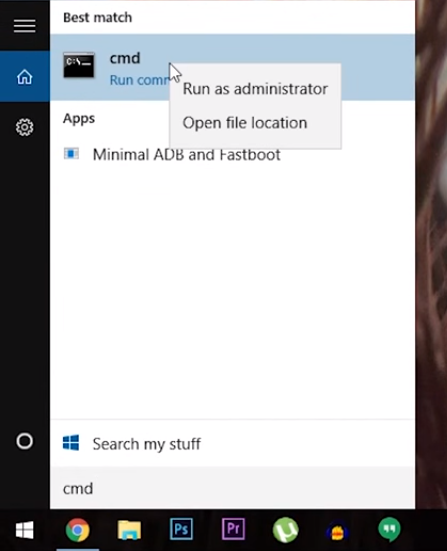 Now this feature is hidden and we need to unhide it via Command Shell (CMD). So without further ado, let’s start with the tutorial now. To start, you must have Windows 10 installed and activated on your system. 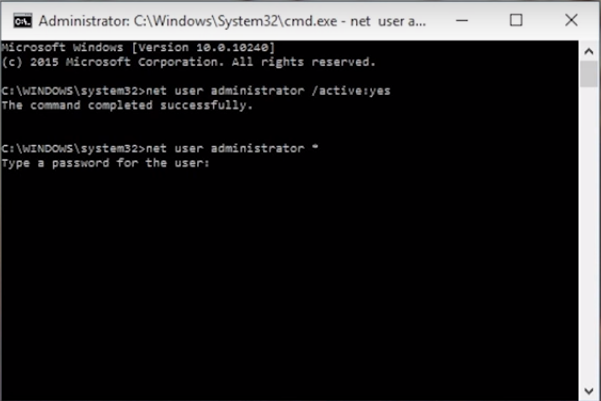 Hit the Windows button on the keyboard and type “CMD“. Now right click on the top result and choose “Run as Administrator”. Now that you have entered the password, you are ready to go. 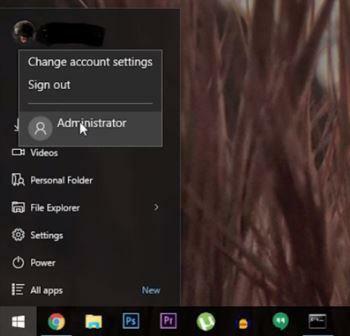 Now if you like to switch to the administrator account, just go to the start menu and click your existing account and choose “Administrator” from the dropdown to changeover (See the Screenshot). Like i said earlier, this will help you in the maintenance of your computer or if you want to install any program, it’s the best way to do in Windows 10. We hope you liked this Howto guide and again, please subscribe us for more such How to guides, tech updates and much more or like us/follow us on Twitter, facebook or Google+. We would really appreciate if you share this article. We’ll be back with new Howto Guide soon.